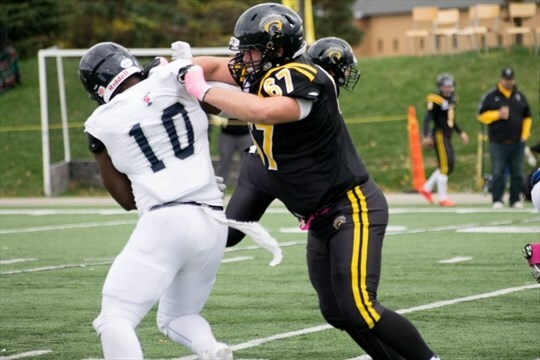 Headlining the InstantScouting 2018 Elite Class: U Sports – Offensive Lineman is Jesse Gibbon of Waterloo University. Gibbon continued his dominating stance at the offensive line last season providing key protection for Waterloo’s quarterbacks. Enters year 5 as a center for Concordia for team that produced 416 yards of total offense last season. 6’8” tall Concordia tackle was part of team that put up 26 points per game. 2nd team all-conference guard on Laval helped contribute to an offense that put up over 3500 total yards. All-star tackle on Manitoba was a bright spot on an offense that struggled. Standout lineman on Sherbrooke, in spite of team struggles in RSEQ. East-West Bowl selection returns for his 5th season with Alberta. OL was part of Guelph offense that averaged 37 points per game. 4th year OL was part of Laurier squad that that produced 39 points per game (2nd in the OUA conference ). Waterloo OG was part of productive offense that averaged 493 yards per game. OUA all-start on Western was part of team that went undefeated in the 2017 regular season. Big-time high school prospect in Windsor has carried forth successful career on a struggling Windsor team.